Regular readers might have noticed that each autumn my friends and I take a foreign mountaineering trip. This habit started with long weekends in the Alps and Pyrenees, but in recent years we’ve been a bit more adventurous, pulling off trips to Morocco, Kazakhstan and Georgia. 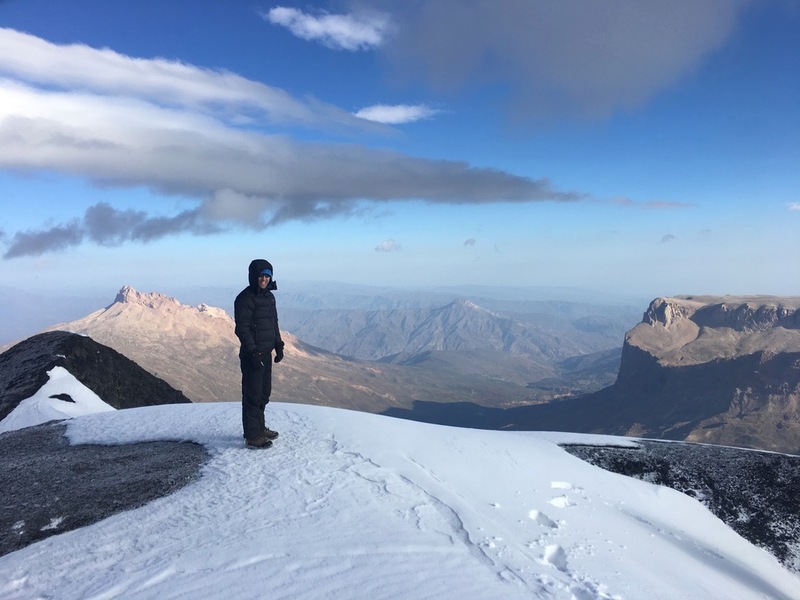 This year’s was possibly the best yet, a six-man trip to Azerbaijan to climb the county’s highest mountain, Mt Bazarduzu (4466 m). Until recently the Caucasus were largely unknown to most British people, but they have been featured in a number of television programmes, most recently Joanna Lumley’s series about the Silk Road, and this additional exposure is likely to make them increasingly popular. My own relationship with this magical mountain region got a head start thanks to an incredibly drunk Polish man I met on a flight to Kazakhstan in 2016. He showed us photos of his holiday in Georgia and Azerbaijan, then started a fight with a Kazakh man in the row in front. The die was cast. We visited Georgia last year and this year it was time to visit the neighbouring country of Azerbaian. The two countries are rather different from one another. While Georgia looks west to the EU and one can simply rock up and climb its mountains, Azerbaijan seems more content to remain among the other former Soviet republics. The state maintains an iron grip on the high mountains, making them extremely difficult to access. This is in large part due to their proximity to the notoriously lawless Russian Republic of Dagestan. Indeed, according to the Lonely Planet guide, as recently as 2015 it was all but impossible to enter the Shahdag National Park. Nowadays access can be granted, provided a maze of red tape is negotiated first. Normally we travel completely independently, but for this trip we are grateful to the local mountaineer and mountaineering advocate Telman Hajibutayev of mountaineering.az. 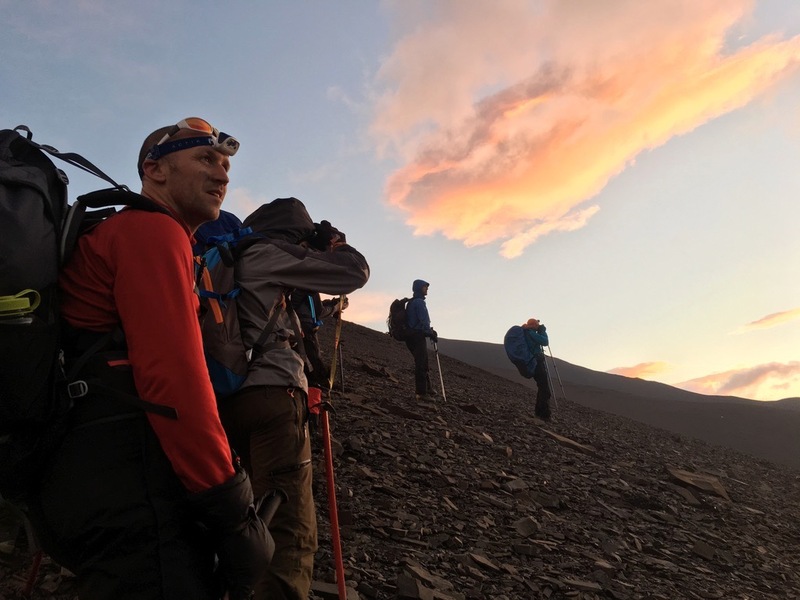 Telman project-managed the expedition and accompanied us to the summit. 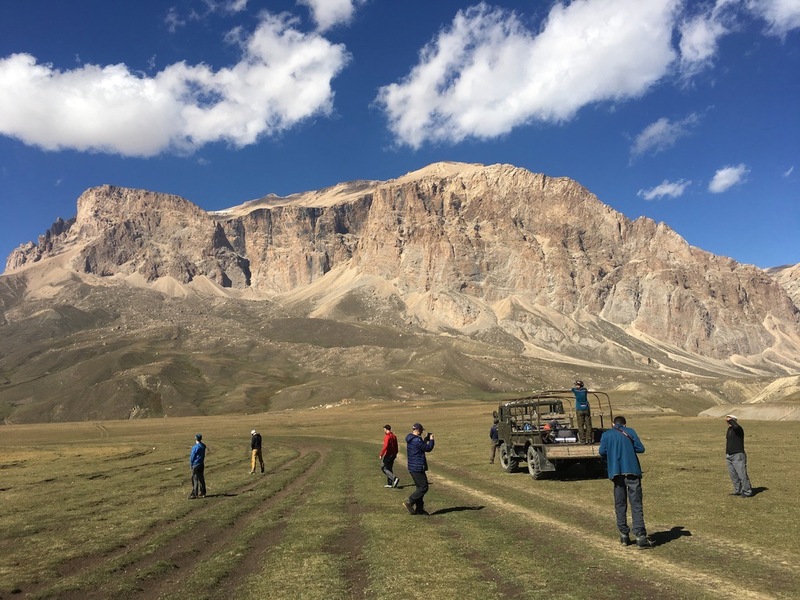 He arranged permits from the Azerbaijani military, the Ministry of Ecology, the Ministry of Emergency and the Shahdag National Park authorities. He also arranged a qualified local mountain guide, without which permission cannot be granted. We were guided by Morsal Gasimov, owner of Mountainhost.az. He chose a different route from that shown on the old Soviet maps, though we camped close to the spots indicated on it. We started our ascent from the mountain village of Xinaliq, which at around 2200 m is the highest and most remote in Azerbaijan. The village was featured in Levison Wood’s Channel 4 series ‘From Russia to Iran: Crossing Wild Frontiers’ (towards the end of Episode 2), and already felt like a world and time apart. Horsemen and their fearsome Caucasian Sheepdogs drove great herds of sheep were across the grassy hillsides above, while in the village geese, turkeys and chicken scratched in the unpaved streets. The streets were lined with blocks of dried dung, used by the locals as winter fuel, helping them to survive -20 C winters in this treeless landscape. 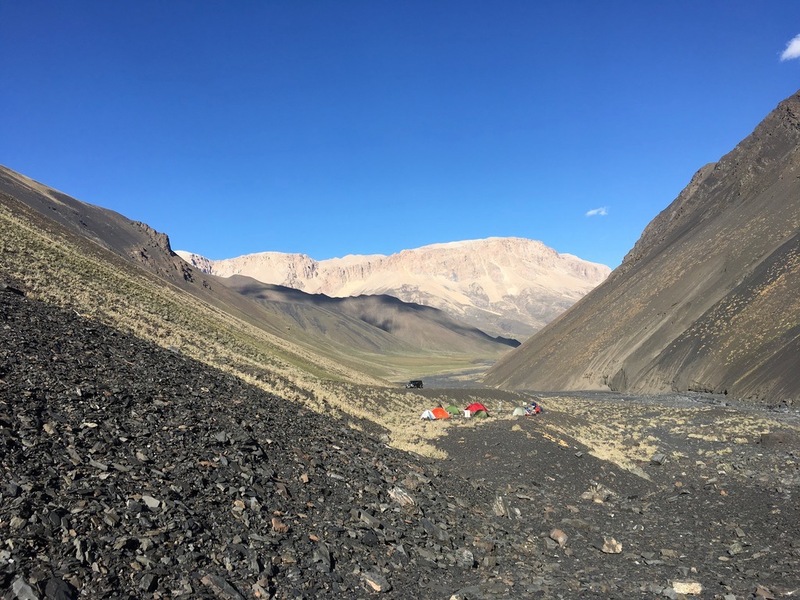 From Xinaliq we took a bumpy 3 hour / 24 km ride in the back of an unsprung ex-Soviet all-terrain truck to Camp 1 at 2800 m. The journey took us over a high pass of around 2850 m into an even higher, even more remote region, where herders spend the summer months in blue tarpaulin yurts. 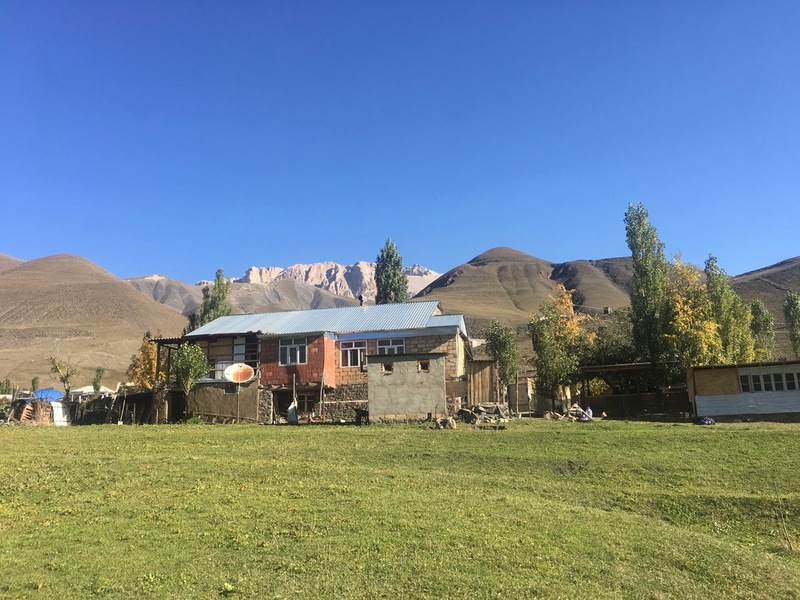 The only permanent settlements are a small army outpost, a weather station and a pair of large houses that the wealthier and more powerful herders have somehow managed to construct in the heart of the national park. Below the crumbling ramparts of Mt Shahdag we passed the scattered stones of a lonely Mongol graveyard dating from the 12th or 13th century. It felt serious to be travelling though a land that had proved itself harder than the Mongol Hordes. We spent a night at Camp 1 to aid acclimatisation to altitude, then next morning we ascended a steep-sided and serious gorge, in which careful route-finding was necessary to avoid regular rockfall, to reach Camp 2 at 3300 m. On a previous trip Telman had had a tent blown from Camp 2 into the river below, so he cautioned us to make a thorough job of pitching up. After lunch we took a short acclimatization hike to a ridge at around 3500 m, from which we could see the blue waters of the Caspian Sea, over a hundred kilometres to the east. To the west a sea of cloud obscured the low plains of eastern Azerbaijan. But mostly the view was dominated by the great scree-covered bulk of Bazarduzu. On the descent we paused at a small, part-dried lake, a watering hole for goats and wolves, whose footprints dotted its muddy shoreline. Back at camp we ate dinner and hydrated ourselves with copious mugs of tea, ready for an early night beneath the sparkling, moonless, high altitude night sky. We were up early and left Camp 2 at 0500 hrs to reach the summit via the south-east ridge at 0900 hrs. The weather was clear and the views superlative, to the other high peaks of Azerbaijan and out into Dagestan. Were those high villages below us warlord’s lairs? Jihadi training compounds? Anything seemed possible in the Land of Mountains. One thing was for sure, there was not a pub within eyeshot! The weather was pleasant and our Azerbaijani friends had brought a series of flags that they wanted to photograph on the summit so we lingered for a long time before reluctantly beginning our descent. 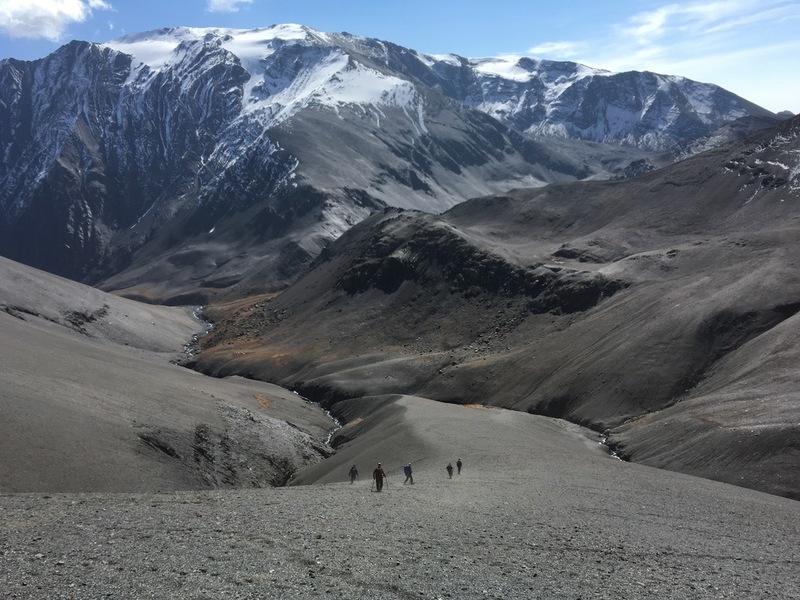 The scree on Bazarduzu was of shattered, sandy, mudstone, providing a nice surface for ascent and a joyful scree run for much of the descent. 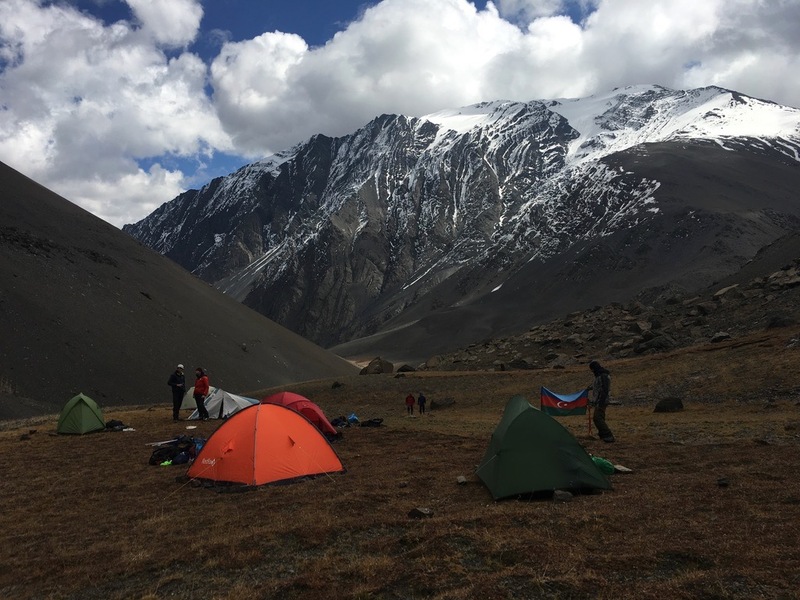 We arrived back in Camp 2 with time for a doze in the sun before the walk back to Camp 1 and the truck ride back to Xinaliq for a well-earned meal of lamb stew. We still had a few days left in Azerbaijan, so be sure to check back for another instalment of Caucasian fun!